REFERENCE BG2150. DELPHI BG2150. AUSTIN MG MAESTRO MONTEGO. MONTEGO (XE) (1275 - 1994 ccm, 68 - 150 CH). Montego (1994 ccm, 150 CH). MAESTRO (XC) (1275 - 1598 ccm, 67 - 98 CH). Maestro (1994 ccm, 117 CH). Kit de tuyau de frein fait sur commande, dans un tube de Kunifer qualité avec écrous en acier. Pour s’adapter à Maestro modèles Austin et MG.
RH WHEEL CYLINDER - BBC579 / 4996. ROVER MAESTRO 1.3, 1.6 (83-93). MG MAESTRO 1.6 (83-85). ROVER MAESTRO 2.0D (86-92). LPR rear right wheel cylinder NOS Part no: 4996 Models this part fits: Rover Maestro 1.3, 1.6 1983 - 1993 Rover Maestro 2.0D 1986 - 1992 MG Maestro 1.6 1983 - 1985 MG Maestro 2.0 including turbo 1985 - 1991 Any questions please ask. 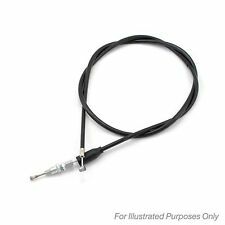 To fit Maestro models Austin's and MG.
FIRST LINE rear handbrake cable for AUSTIN ROVER MAESTRO Hatchback 1983 to 1993,MG MAESTRO 1983 to 1991,AUSTIN ROVER MONTEGO Saloon 1984 to 1993,MG MONTEGO Saloon 1986 to 1991. CLG for Clear with Black Text, -CB for Carboline, -CL for Clear, -EB for Electric Blue. MG Maestro Stainless Clear Cover With Goodridge Print Goodridge Brake Hoses SAH0602-4C-CLG. Each Goodridge ABS brake line kit is manufactured using Stainless Steel ABS blocks, Stainless Steel fittings and PTFE hose wrapped in a Stainless-Steel braid with a PVC outer to stop dirt ingress. Austin Maestro 1983-93. MG Maestro 1983-93. PART NUMBER DELPHI LS 1269. MG MAESTRO & ROVER MONTEGO REAR BRAKE SHOE KIT. MG MAESTRO 1600. MG MAESTRO 2.0 EFi. MG MAESTRO 2.0 Turbo. ROVER MAESTRO 1.3. MG MONTEGO 2.0 EFi. MG MONTEGO 2.0 Turbo. Part Manufacturer Number DP467. 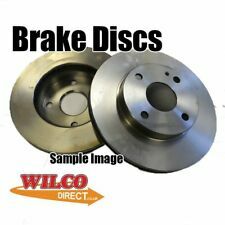 Manufacturer Part Number DP467. MG MAESTRO 1.6 1983-84. S'il vous plaît lire: Il est important de vous assurer que vous achetez des plaquettes adaptés à votre voiture. MG MAESTRO 2.0 Brake Shoe Fitting Kit Rear 84 to 90 20HE QH. AUSTIN MAESTRO (XC) 1.3 Hatchback Petrol 03/1983 08/1985 FWD 8 63 46. AUSTIN MAESTRO (XC) 1.3 LS Hatchback Petrol 03/1983 08/1990 FWD 8 67 49. AUSTIN MAESTRO (XC) 1.3 Hatchback Petrol 03/1983 08/1985 FWD 8 63 46. AUSTIN MAESTRO (XC) 1.3 Hatchback Petrol 01/1986 09/1992 FWD 8 63 47. AUSTIN MAESTRO (XC) 1.6 MG Hatchback Petrol 03/1983 08/1985 FWD 8 98 72. MG Maestro Zinc Plated Clear Cover With Goodridge Print Goodridge Brake Hoses SAH0602-4P. Each Goodridge ABS brake line kit is manufactured using Stainless Steel ABS blocks, Stainless Steel fittings and PTFE hose wrapped in a Stainless-Steel braid with a PVC outer to stop dirt ingress. AUSTIN MAESTRO (XC) 1.3 Hatchback Petrol 03/1983 08/1985 FWD 8 63 46. AUSTIN MAESTRO (XC) 1.3 LS Hatchback Petrol 03/1983 08/1990 FWD 8 67 49. AUSTIN MAESTRO (XC) 1.6 Hatchback Petrol 03/1983 10/1984 FWD 8 80 59. TRUPART L/H rear wheel cylinder for AUSTIN ROVER MAESTRO 1.3 & 1.6 1983 to 1993,AUSTIN ROVER MAESTRO 2.0D 1986 to 1992,AUSTIN ROVER MAESTRO 2.0TD 1992 to 1995,MG MAESTRO 1.6 & 2.0i 1983 to 1992. 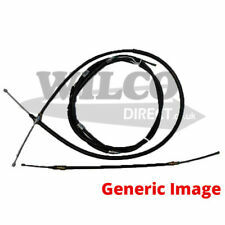 VECO front handbrake cable for AUSTIN MG & ROVER MAESTRO Hatchback 03/1983 to 1994.